Just a sight of a needle and Akshara’s cries are heard throughout the cancer ward. 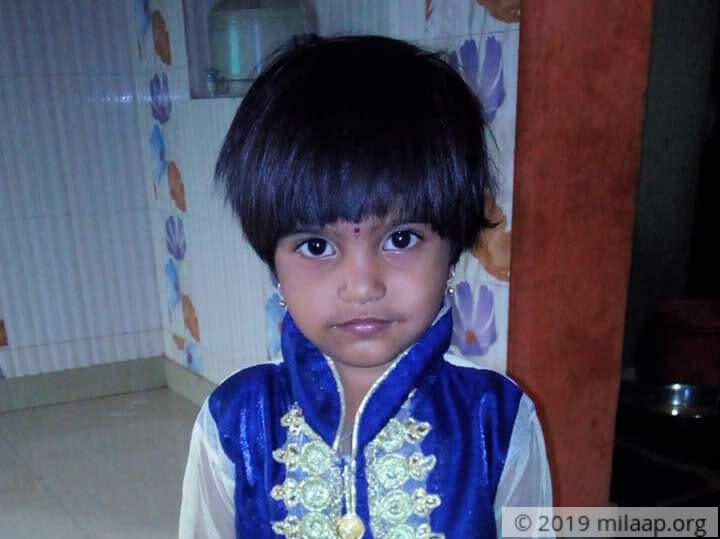 This 4-year-old who would once happily go to her Anganwadi school in her village, is now engulfed by fear. Fear of the pain of the injections, chemotherapy and most of all, that her parents will leave her in the hospital. “She’s never seen a big hospital before or been to the city, she thinks we’ve got her here because she’s done something wrong,” says Gowramma. 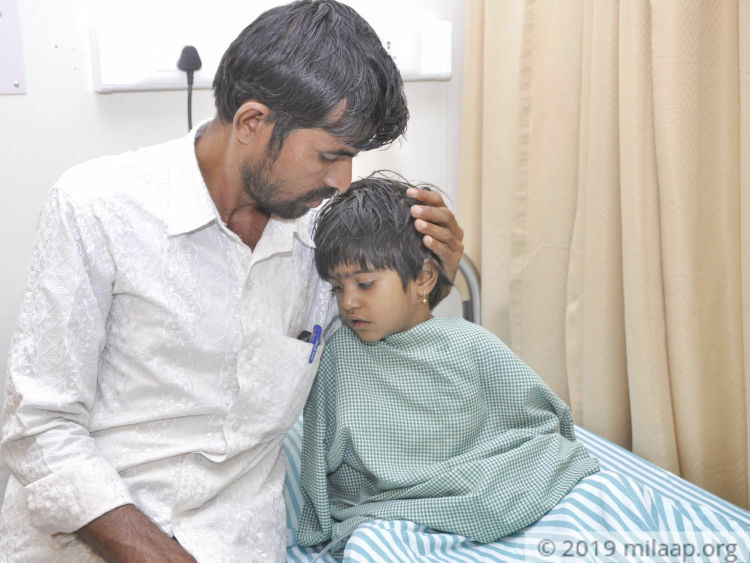 Little Akshara is too young to understand blood cancer – a disease so dangerous and unpredictable that even the thought of it terrifies someone. Akshara has to live through it. “I won’t pull akka’s (older sister) hair again, please take me home!” she begs. 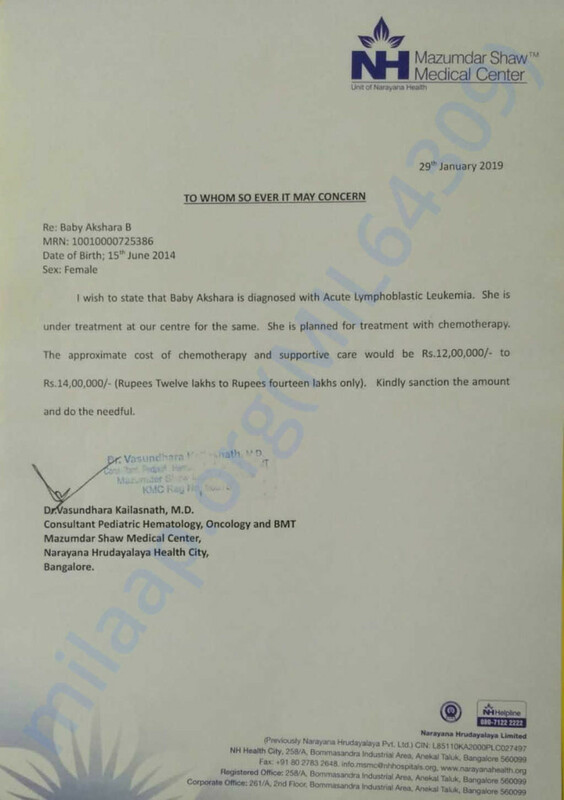 Akshara was diagnosed with blood cancer about 15 days ago. What one would think were ‘growing pains’ for children, turned out to be this deadly disease. Suresh and Gowramma took Akshara to Bangalore with the Rs. 5000 rupees they had borrowed from their neighbours in the village. They knew that it’s her only chance of survival. 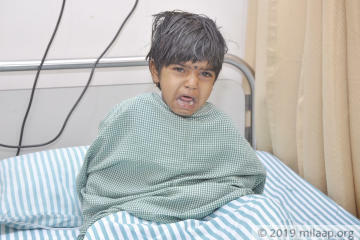 Akshara started chemotherapy 3 days ago, but this is just the beginning of her fight with cancer. She needs the treatment for at least 6 more months. 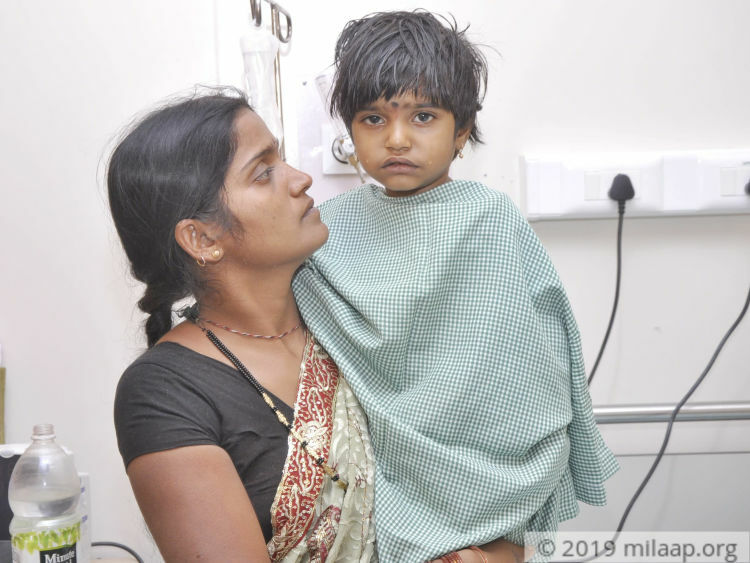 The thought of not being able to continue her treatment worries Suresh and Gowramma every day. They’re just small-time farmers in a village south of Karnataka. Akshara’s favourite time of the day is playing with her sisters. They play hide and seek every evening after school. But now, Akshara is in the hospital fighting a deadly disease. Your support will give little Akshara her smile back. She can be healthy and have a normal childhood. She needs chemotherapy for the next 6 months to survive.